A muffin with Jack? I am so sold! Right? I can’t believe I hadn’t thought of it myself! Not gonna lie… they ARE. Oh tailgates!! That’s a great idea! oh oh oh oh oh M G! this must be meant to be!!!! 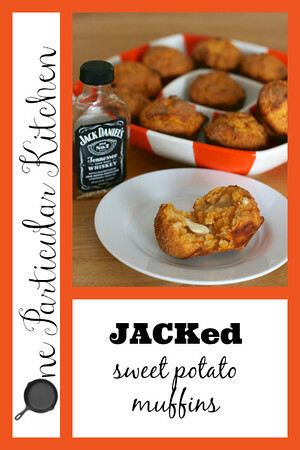 I baked a big fat sweet potato yesterday for no particular reason… and HERE’s this recipe. YES! today i am making this!!!!! thank you. WOOHOO! And OMG honey butter!! Brilliant.